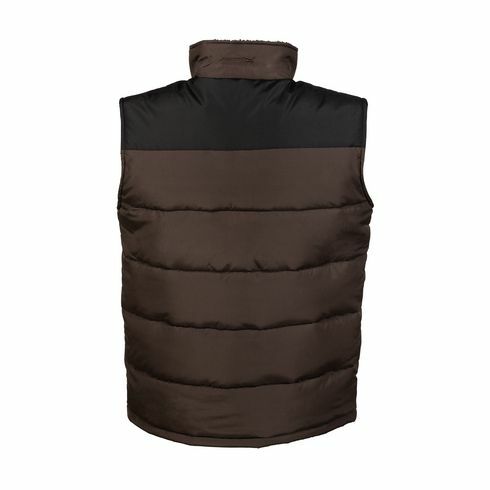 Comfortable men's bodywarmer from the brand Regatta • 100% polyester • filled with 100% polyester • zip • 2 pockets with flap and press buttons • inside collar made of soft fleece • waterproof. Available sizes: XS, S, M, L, XL, XXL and 3XL. Available in a men's model and a ladies model (Item 7064). These bodywarmers can be ordered in any combination. Great quality but the fit is a little to loose.. if your a large order Medium etc..